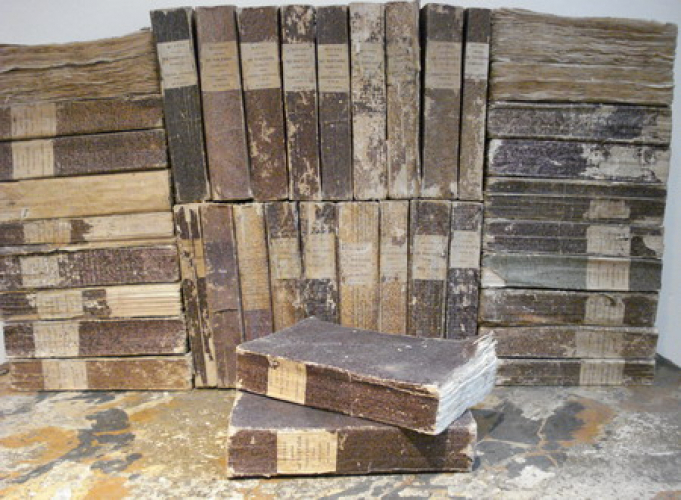 My interest in wonderful old books - we have many in the shop -comes from an obsessive love of paper – especially the early linen paper which has a unique texture and colour. 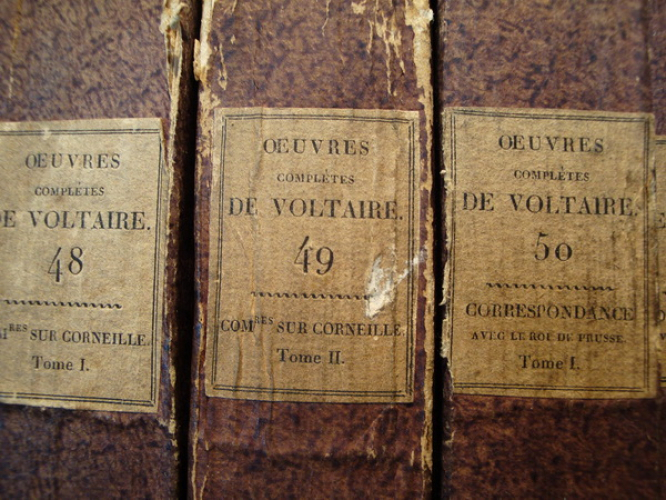 The books I am truly mad about are mostly books that have not yet been ‘bound’ – the French call them ‘brochés’. These have simple paper covers which have often been ‘sponged’ in delightful pastel colours or covered in hand made marbleized papers. 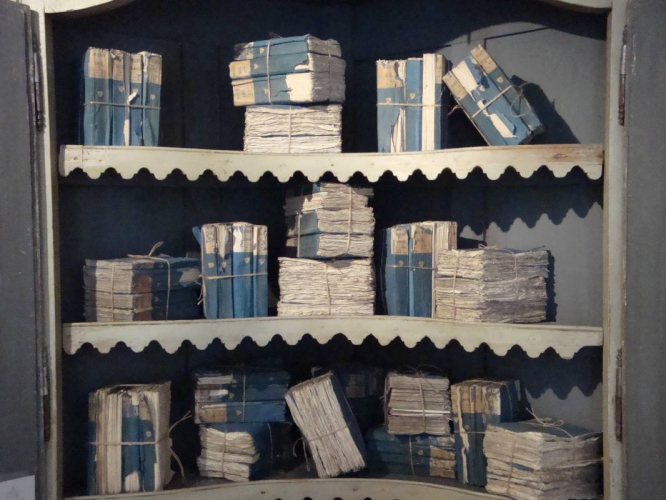 Generally such books were waiting for customers such as up-market libraries or chateaux libraries and would be specially bound in the leather or vellum to the purchase’s particular requirements. Paper was first invented in China by the Ts`ai Lun by 105 AD during the Han Dynasty and spread slowly west via the Silk Road. 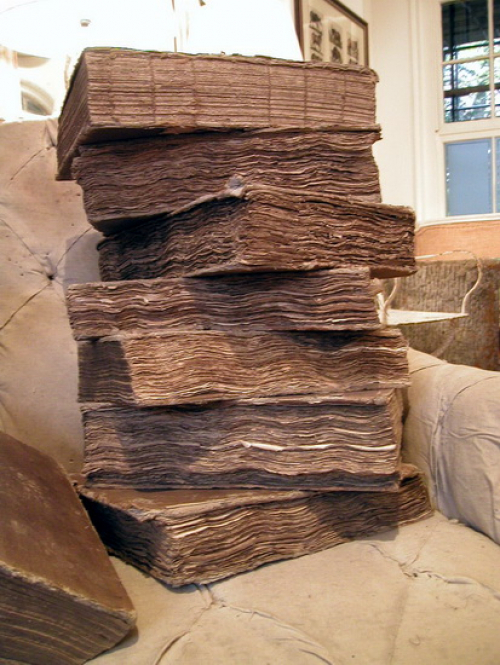 Prior to this other material were used to write on such as Papyrus, the ancient Greek word from which the word ‘paper’ is derived, and Vellum, stretched and dried animal skins. for the pulp making process as well as for the actual paper making. 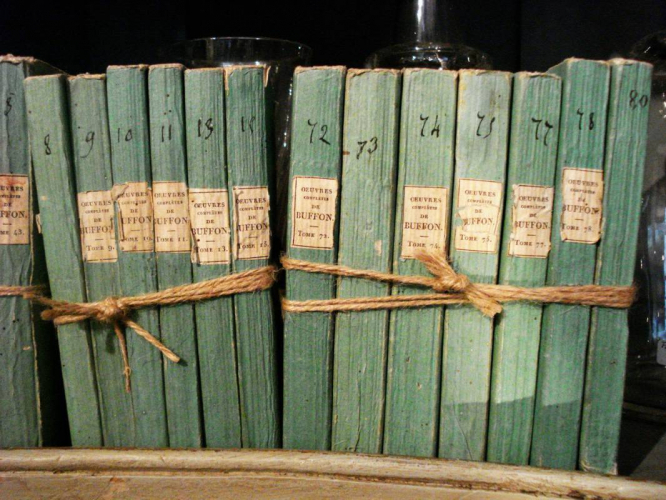 Hand made paper, which was the norm until the mid 19th century, involves the pulp being poured onto a wire frame ‘sieve’ and shaken by hand until the fibres stick together to form the ‘leaf’. Once almost dry the ‘leaves’ are hung up to air dry - l ike hanging out the washing! It is at this point that the watermark is evident – the design being incorporated into the wire sieves. 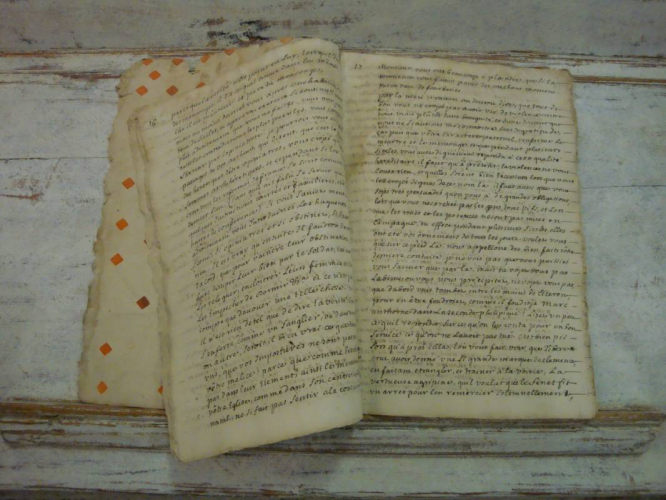 The result of the success of paper making meant that the art of Printing spread into Northern France from neighboring Germany and the first publishers/printers appeared in Paris in 1472. 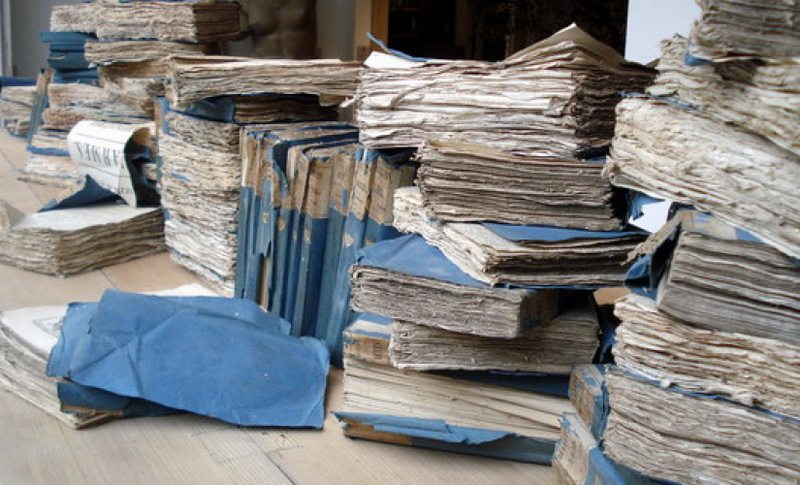 By the beginning of the 16th century Paris had become the most important centre for book production in Europe after Venice - 25,000 editions being produced in Paris in 16th century. 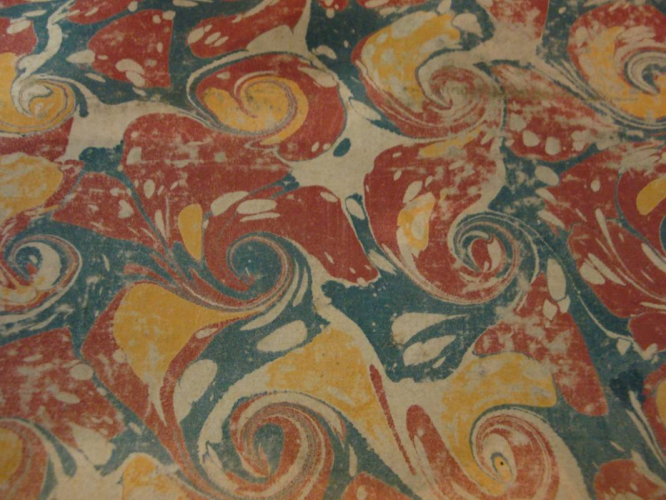 The printing process remained unchanged until the middle of the 19th century – it was a totally manual process with each sheet being printed individually. 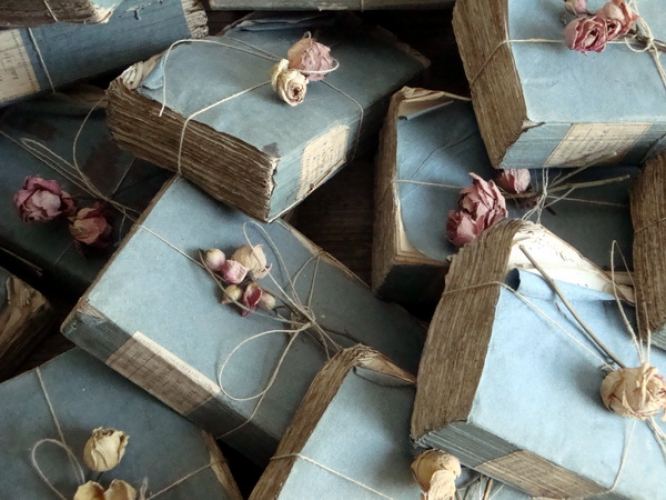 Books at this time were sold ‘unbound’ with simple stitching with temporary paper wrappers or paper-covered board – known as ‘reliures d’attente’ ready for later binding. 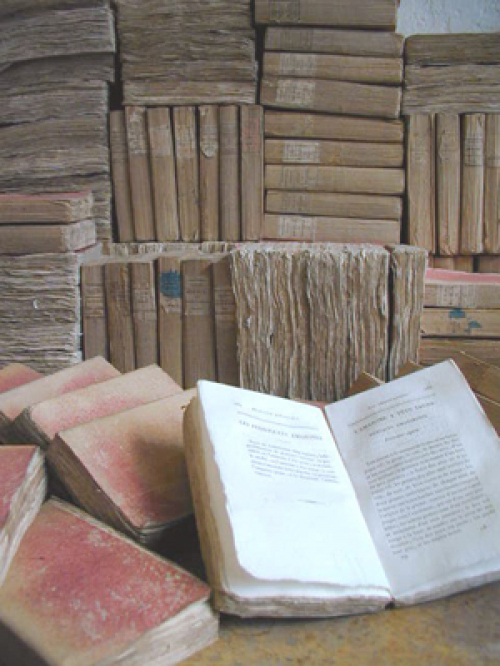 Nearly all book purchasers would have opted to have their books permanently bound in full leather or vellum – thus surviving examples of un-bound books are relatively rare due to their fragility. So here we are - back to those beautiful and rare ‘brochés’ that I am so passionate about…........and which I sell occasionally and reluctantly!